Earlier 2015, we ran a pre-order campaign to help raise funds for the Australian Koala Foundation, the leading non-profit, non-government organisation dedicated to the conservation and effective management of the wild koala and its habitat – and as such we thought it would be useful to drop a few handy tips when it comes to koala and dog relations. 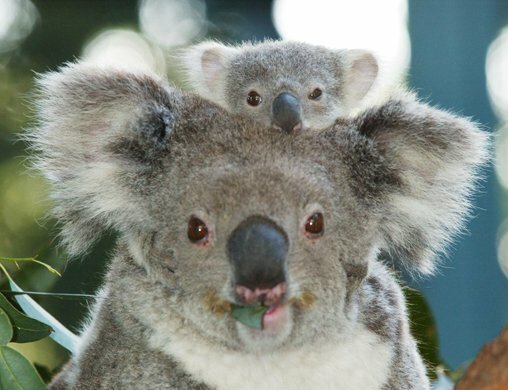 Of course these tips really only apply to those in Koala populated areas – but they’re handy to know and spreading the word will help keep our eucalyptus lovin’ pals safe! 1. Check trees for Koalas before leaving dogs unattended in your yard. By doing a quick Koala spot in your yard before leaving your dog unattended, you’ll be helping reduce the risk of an unauthorized Koala related wrestling match in your absence. 2. If a Koala enters your yard, put your dog inside your house or garage until the Koala has left. Dogs are curious creatures and a slow, ambling Koala may look like a cool, new friend to play with – but unknown to dogs, Koalas tend to be a little introverted and would be rather left alone. So if a Koala happens to creep through your yard, it’s probably best to put your dog inside for a moment and let the Koala do his thing. 3. 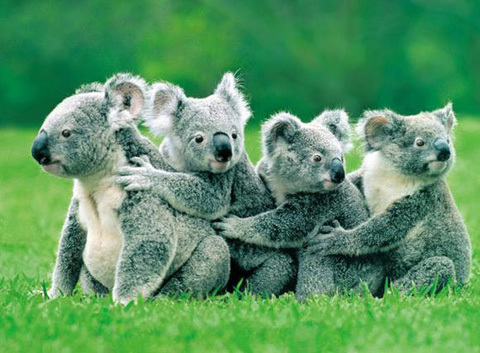 Koalas are very easily stressed by dogs. Dogs LOVE making new friends with anyone, Koala’s on the other hand are a little more anti-social – consider theme the Snoop Dogs of the Australian Bush, too much excitement stresses them out. 4. Don’t allow your dog to “play” with Koalas. 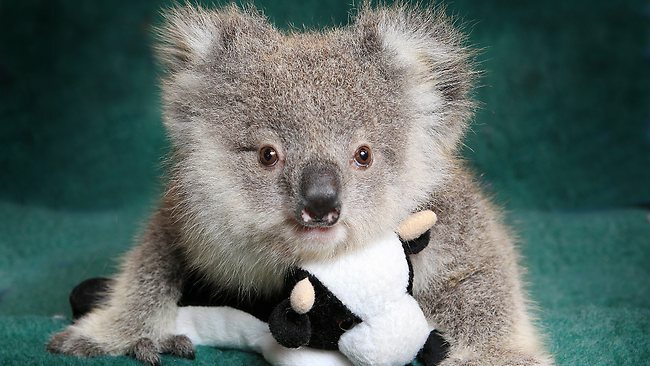 As mentioned, Koala’s aren’t much for social activities – so try to avoid letting your dog play with Koalas. 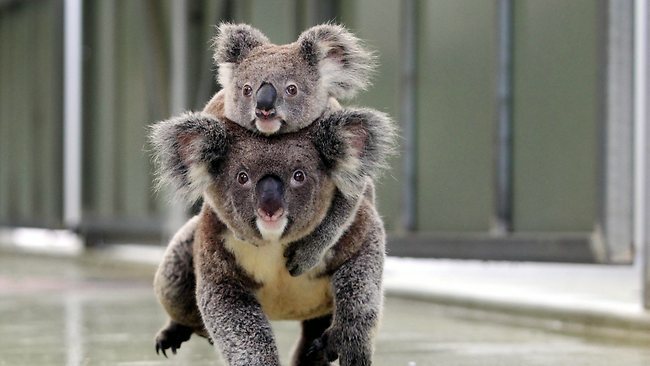 This includes boardgames such as Monopoly or Clue – as Koalas are known to be overly competitive. 5. Frequently walk your dog so it doesn’t get bored. Beside the many other benefits of walking your dog regularly, it can also make the sighting of a Koala a much less exciting thing – so pop on the joggers and walk your dog daily! 6. If you must take your dog into the bush, use a leash. In most areas, it is illegal to allow a dog anywhere outside your yard unless it is on a leash, except in fenced dog parks. So keep ‘ole Charlie on a leash next time you do a bush walk. 7. At night, lock up your dog. 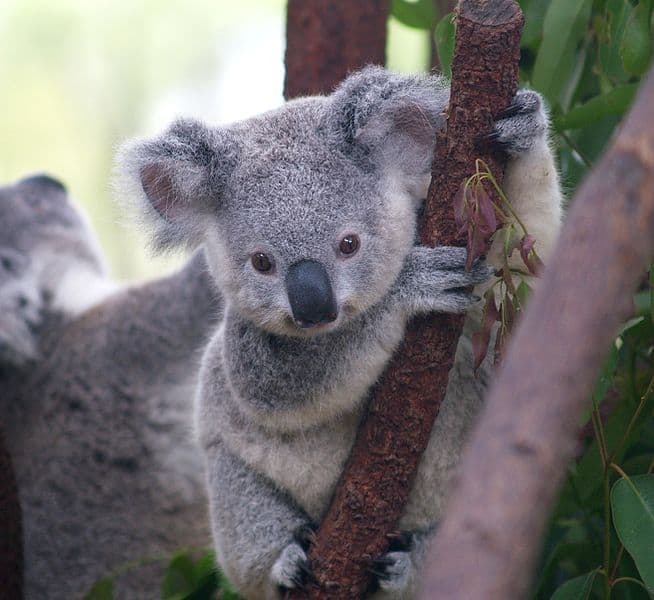 It is not enough to just keep it in your yard – Koalas can climb most fences or trees into yards. Unbeknownst to most, Koalas possess ninja like qualities and can climb most fences (and preferably do so at night). So if your dog is an outdoor sleeper that is easily disturbed, it’s best to keep it locked up. 8. Notify your local council immediately about roaming dogs or irresponsible dog ownership. This point is super important – if you ever see roaming dogs about or an irresponsible dog owner, notify your local council ASAP. This is not only for the safety of Koalas but also the dogs itself and the community.